We took a vacation from traveling with an excellent housesitting gig in southern Spain. Thoughts after our first session of Yoga in Marbella at the Lotus Blooming Yoga & Ayurveda Retreat, Spain. A much needed break of stretching and detaching! What a difference a few days can make – our entire time at the Lotus Blooming Yoga and Ayurveda Retreat was filled with revelations and resolutions. How Dalene found love in Girona, Spain (perhaps to Pete’s dismay). A five day tour of the Pyrenees, Catalonia, Spain. Fine food, amazing scenery and incredible people all make this reason for a visit. We created a photography guide to Costa Brava during our six week visit. We were invited back to Spain to create a photo guide for the city of Girona. The extended time for photos in a city we love gave us a chance to reflect on the way we see the world. Gin, gelato, and ham: in which we describe exactly where to drink and where to eat in Girona. 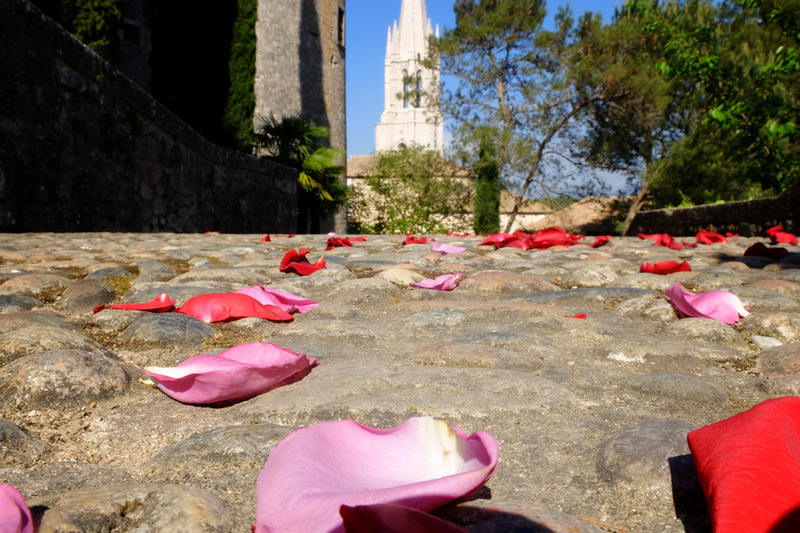 The second time around, we just happened to be in Spain during Girona’s Festival of Flowers. Here are some of our favourite flower festival photos!